As a result of the official visit of British Prime Minister David Cameron to Moscow on September 11-12, 2011, an MOU has been signed on Monday September 12 between JAI and the Nuclear Cluster of the Skolkovo Fund for Developing and Commercialising New Technologies. The determination of the duration and of the time profile of electron bunches that are highly relativistic and only a few femtoseconds long (like those produced by laser-driven particle acceleration) is an important but also a challenging task. APPEAL-2 Teachers conference took place in the department on Saturday 2nd July 2011. The conference offered teachers the opportunity to update their knowledge of the physics underlying the LHC and the connection between accelerator science, particle physics and astronomy. The conference aimed to answer questions such as "What is the origin of the Universe? ", "How are LHC experiments connected to astronomy and dark matter?" and "What are the applications of particle accelerators in our daily lives?". Brookhaven National Laboratory (BNL) and the John Adams Institute for Accelerator Science (JAI) signed a collaboration agreement on 17 May 2011. 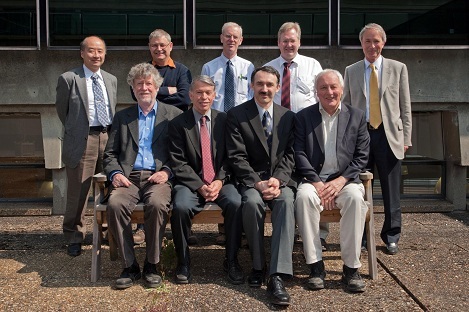 The annual meeting of the JAI Advisory Board (AB) took place in Oxford on April 18-19 of 2011. The board, chaired by Dr. Ewart Blackmore (TRIUMF, Canada), reviewed the JAI scientific and training programmes and the plans for further developments of the Institute.